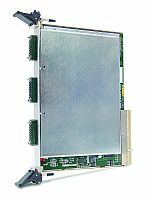 PXI Switching, RF Card - GX6062 | Marvin Test Solutions, Inc. The GX6062 is a high-density 6U PXI RF switching card that provides 200MHz bandwidth and multiple switching configurations. The GX6062 has 12 groups of 1 x 4 differential, non-terminated RF multiplexers. The 12 groups can be used to create multiple configurations including: 6 x 1:9, 3 x 1:19, 2 x 1:29, 1 x 1:59, and more. The GX6062 switching card plugs directly into any 6U PXI chassis. The GX6062 consists of 12 switching groups. In each group, each channel can be connected to any of the other four channels within its group. Additional relays connect adjacent groups. Using these additional relays, larger groups such as a 2 x 1:29, 1 x 1:59, can be configured.